EASY TO READ & USE. CONVENIENT CHART ON RECREATIONAL DRONE RULES. Click here to buy it. Click here to learn more. Federal Aviation Regulations, COA, & Section 333 Exemption Compliant. This logbook has been specifically designed to be compliant with 14 CFR 61.51, Section 333 exemptions, and COA logbook requirements. Super Easy COA Required Reporting. 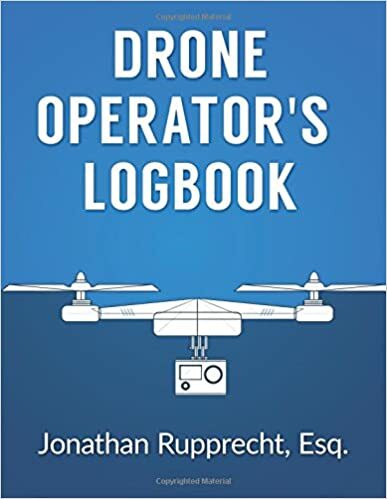 The FAA or Law Enforcement Can Request Your Logbook. If your electronic logbook is on your device, do you really want to give law enforcement or the FAA your device? Furthermore, how are you to get the data off that device? Unmanned Aircraft in the National Airspace: Critical Issues, Technology, and the Law. “This book provides insight into the emerging areas of unmanned aircraft law with a technological perspective. With the understanding that the law and the technology it regulates form a complex and intertwined bond, this book covers both the laws of unmanned aircraft and the respective technological foundations required to understand and work with the law in an informed manner. Unmanned aircraft law is a subset of aviation law, with its own unique perspective. As such, aviation law foundations are critical to the unmanned aviation legal scholar/practitioner and are covered appropriately throughout the book.